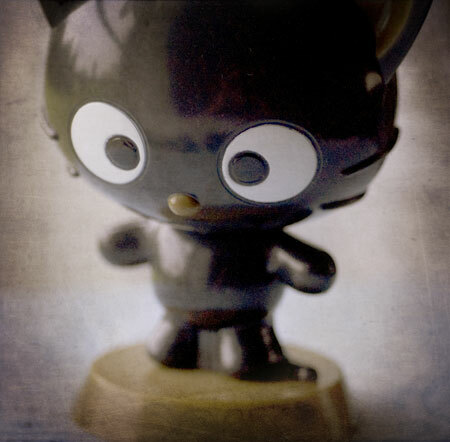 This is chococat, he lives on my desk, and he always makes me smile. Truth is, I think I’ve forgotten how to have fun. I work so many hours, running two businesses, and now two blogs, and taking care of a house and six cats and a dog and my family, there just isn’t much time left over for fun. But this prompt, and my response to it, made me realize how wrong that is, how I shouldn’t let this happen, that I need to do something about it. And I don’t mean to make it seem like my life is all bad, certainly it is not. I get to work from home, and both my jobs are creative, and that in itself holds a certain amount of fun. And I look for ways to make myself laugh, everyday. I realized long ago how important that is. But what I don’t do, what I haven’t been able to do in quite a while, is have down time, hours that can be wasted or spent being silly or relaxing or reading or knitting or gardening, all of the things that for me, are fun. I am starting to wonder if I am a workaholic. Only most of the time it doesn’t feel like a choice, it seems like I have to do these things in order to make an income, pay the bills, survive. But still, I wonder. I think it is time to reassess. Time to schedule in some fun, at the very least. Even if it means some of the things on my to-do list won’t get done. It is starting to feel vital. I have been burning the candle at both ends for far too long and I think I may be running out of wick. I realize also, that I have to learn to say no. Mainly to myself. I need to step back when something new comes along that I want to try and consider whether or not I can fit it in. I don’t like having to do that, I am naturally curious and I love a challenge and there are so many things I want to learn. But really, so little time. My plate is full, so full, yet I don’t seem to know when to push myself away from the table. So, what do you think? Any suggestions? How do you define fun? How do you find time to relax and enjoy yourself after all the must-dos and chores and requirements? I’d love to hear your ideas, your thoughts, your struggles. I think we all struggle with this one. I like Julia Cameron’s idea of a weekly “artist date” where you scheduled it into your planner and treat it like a required meeting. I think especially as women we can fall into the trap of taking care of everything but ourselves. I know I’ve been much better off since I started treating creativity as a requirement instead of a little bonus if I have time for it. There’s never time – I have to *make* time for it. And I’m always better off for it! I love you picture! I think most women struggle with feeling guilty about taking time for themselves, but we shouldn’t. We’ll be better wives, mothers, and friends if we take a bit of time for fun. Schedule it! I think we being women tend to forget to have fun because of all we do. My kids are grown but I still feel like I work more hours than I would like and not at my actual job. i’m stopping by from you capture. i hope that you figure this out. i do think it is so important in life. did you have things that were fun before? try them again. or even schedule fun in for now until it becomes natural. life is too, too short. but you are awesome..and you deserve loads of fun.